On Day 9, we welcome back Marguerite Abouet, whose revolutionary YA graphic series AYA was a global hit in 2007; she’s returned with a delightful series for younger readers, featuring the adventures of the mischievous and resourceful Akissi. 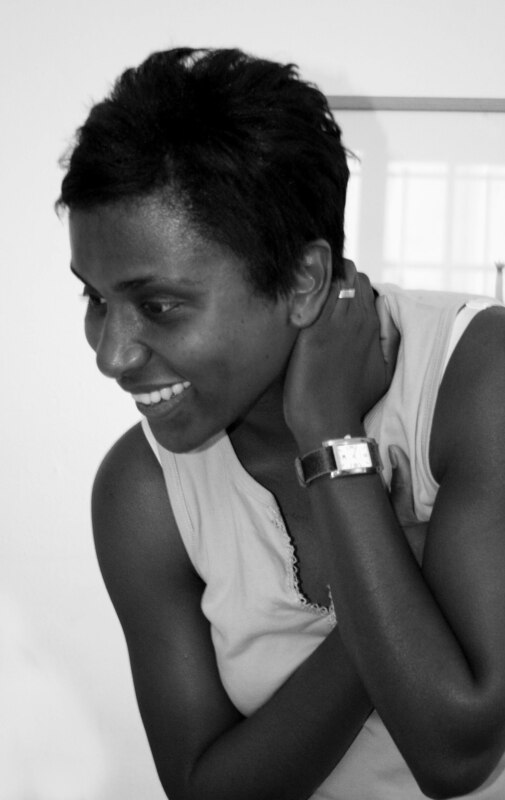 In the first book, Akissi: Feline Invasion,released in the U.S. in 2013, Abouet “dishes out bursts of simultaneous hilarity and horror in African vignettes aimed at a younger audience,” according to Kirkus, where it received a starred review. The adventures and shenanigans of Akissi, her brother Fofana, and friends “are both universal and absolutely particular to her milieu,” writes Cory Doctorow over at Boing Boing. 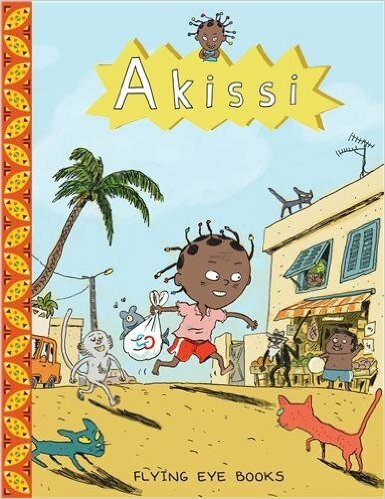 “It’s the perfect combination of gross-out humour, authority clashes, and general mischief to capture a kid’s interest.” Comprised of seven humorous and sometimes outrageous short stories featuring kid-friendly ups and downs with West African flavor, Akissi is pure fun, and with Books 1-6 already published in Europe, we hope to see more of her stateside very soon. These look great — thanks fro the intro to them — and to Flying Eye. A French language graphic novel with a brown-skinned character? I would have LOVED this when I was in school. The tapeworm story might have just made me fall on the floor screeching, but — sounds like it’s worth it. Can’t wait to see these jump the pond. I liked Akissi novel because it is a great graphic novel with girl characters and it also represents a multicultural appeal. It provides opportunities to talk with kids about cultural differences and similarities. This novel exposes a whole different world that children can spend time visiting while reading the vignettes. Akissi is a great novel because it is a realistic fiction and I think a lot of kids in my community would feel like they’re reading about a different world.